Cloud-based medical platform that connects all laboratory operational components, including test ordering, lab workflow management, transcription, reporting, and billing on a unified platform. XIFIN LIS Anywhere is the most advanced laboratory information system available today. With the XIFIN technology platform as its foundation, XIFIN LIS Anywhere facilitates the open but secure exchange of diagnostic, financial, and clinical information. 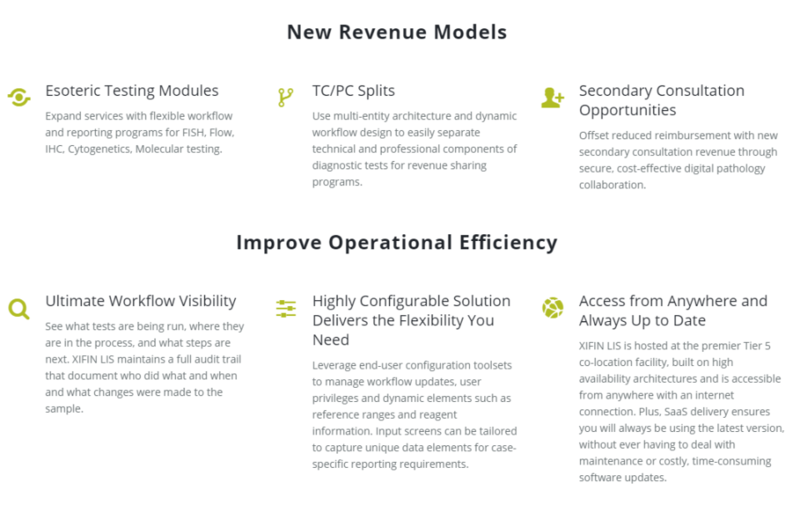 Its cloud-based diagnostic platform connects all laboratory operational components, including test ordering, lab workflow management, transcription, reporting, billing, and financial management within a single, easy-to-use, platform.